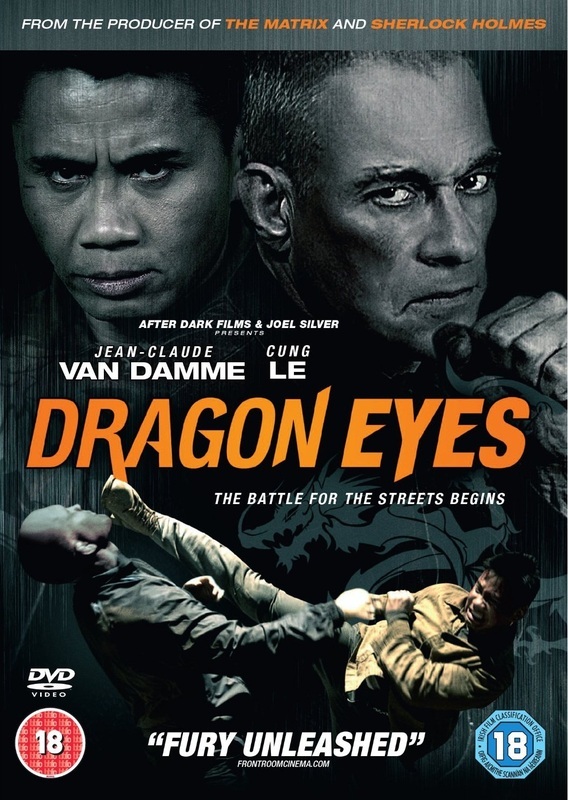 Dragon Eyes is more or less a “Homie Movie”, but with a difference. The difference being that it is competently acted, directed, edited and has some tough, brutal and engaging fight scenes. But we wouldn’t expect anything less from our new favorite director, Mr. Hyams, who delivered the utterly brilliant Universal Soldier: Regeneration (2009) immediately preceding Dragon Eyes. Throwback-style action, but perhaps with some added brutality, seems to be Hyams’ trademark. After all, this movie is about a loner who comes to a harsh new town, pits two gangs against one another, and contains the casual racism of the old days - as well as the Prerequisite Torture of the hero and the final fight in the...you guessed it, the abandoned warehouse. So all the proper elements are present and accounted for. But this movie has the first instance we can recall of Rakefighting, and Hong wields that rake like nobody’s business. We applaud that. With the casting of Peter Weller and Van Damme, we finally have Robocop vs. Timecop. Well, not really, as they don’t share any scenes together. 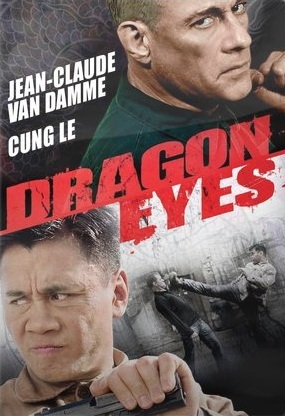 Van Damme’s role is extremely limited, he only appears in dark, shadowy flashbacks as Hong’s mentor. It’s more about the mysterious Hong in a setup that’s like Blood and Bone (2009) meets Urban Justice (2007). Peter Weller, as Mr. V - not to be confused with Danny G from the previous year’s Forced To Fight (2011) - because in Dragon Eyes Mr. V wears a hat. Otherwise the roles are very, very similar. But Weller has a ton of screen presence, so you want to see him do roles like this. It seems just a few years ago, you wouldn’t see stars like Weller in down-and-dirty DTV product like this and Forced To Fight. But if Robert De Niro is going straight to video now, that signals the way for the movie industry, and all actors beneath his stature. Mr. Hyams is clearly a talented director and knows how to direct a quality fight scene. The movie overall has some good grit and basically delivers what you want. 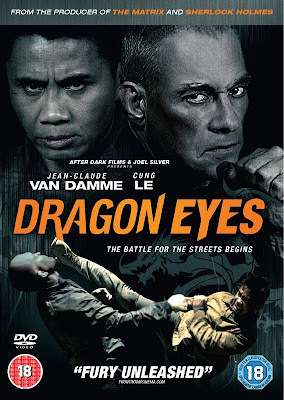 While we prefer Regeneration, Dragon Eyes is certainly worth watching. Also check out write-ups from our buddies, The Video Vacuum and DTVC! This movie doesn't get much love on Imdb, but I wholeheartedly agree with your review. It is one of the best DTV movies of recent years, and John Hyams is as talented a director as his father. Can't agree more! John Hyams is very talented. Hope he keeps on making old-school action with Van Damme. I can sort of see why other people didn't warm up to this film, I think it's a pretty decent, but not really Van Damme's best work, for me Assassination Games was better. Definitely agree, this was a decent actioner...should be more recognized.